Israeli cuisine and wines, as well as Israeli entrepreneurs will highlight this celebration. 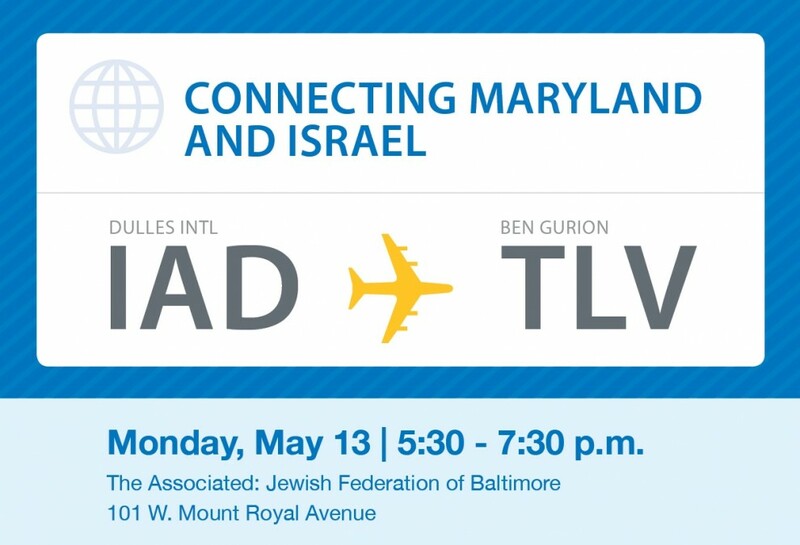 Sponsored by the Maryland/Israel Development Center, Baltimore Jewish Council, United Airlines and the Washington Dulles International Airport. The event is free of charge; you must be present to win the free tickets to Israel. Registration is required. *Employees of Jewish non-profit organizations and their immediate families are not eligible for the United Airlines drawing.